After making the initial decision to explore your ancestry and genetic origins, you are faced with a multitude of nuances, separating one ancestry DNA testing company from the next. DNA Worldwide and African Ancestry are both excellent choices for the task at hand, but one will certainly come out on top once you identify your specific needs and expectations. Their services, although high-quality and professional, differ in small but important aspects, even though they seemingly do the same thing. Our comparison will help you spot those differences between DNA Worldwide and African Ancestry, allowing you to make an optimal and fully personalized choice. 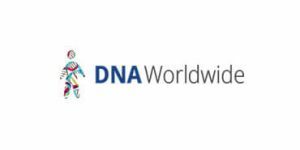 DNA Worldwide is a British company founded in 2004 and dedicated to providing its users with the most comprehensive portfolio of DNA relationship, ancestry, immigration, and drug & alcohol tests. African Ancestry was founded in 2003 in order to help individuals with African origins explore their paternal and maternal lineages and follow their ancestry up to 2,000 years in the past. African Ancestry offers the following ancestry DNA testing solutions: - MatriClan - PatriClan The results explore your potential African heritage through your direct maternal or paternal lineage. African Ancestry collects quite a bit of data throughout its testing process and it also logs your IP address, browser type, ISP, and other information. Surefire way of testing the workers for drugs and alcohol. Been cooperating with the company for a year now and think I'm gonna stick around. Had some troubles ordering internationally, but it all worked out in the end. DNA Worldwide helped me with my application and nobody ever doubted the results. Negative Five stars for African Ancestry. (I have also used two other Ancestry/dna testing companies.) I began the process with the company in September 2018. I was told they needed to do a recollection in December 2018. It is March 2019 and I still have NOTHING from this company... NOTHING. Upon making a call for the status of my results, I was met with rude, condescending laughter and sarcasm. African Ancestry needs to do better. The company wants the business, but opts to treat it’s African descended clientele like garbage. This is not the way to advance and claim distinction as an African focused business. This has be an overwhelming experience for me and my family. My husband had his DNA tested before me. We found out that we share the same results for our Matriclan which is 100% Native American. I look forward to finding out more information on my Native side of the family. I really wish that there was more information as to which tribe I belong to. Big thanks to African Ancestry for making this site available. Pros: They tell you actual tribe names and country of origin which is great cause 23 and Me could only tell me I was West African and Ancestry.com tells you countries but does not take into account that maps were changed when Europe colonized Africa. Cons: Results are mailed and not available online. They ONLY tell you African ancestry and will give you zero info on non-african ancestry. I only got results for my grandmothers line my Uncle will have to shell out another $300 to get my grandfathers line. And last all they tell is country of origin and tribe name, you would think for $300 I would get a short history of my ppl. 23 and Me could only tell me West African so this test gave me a clearer picture of where in Africa I'm from. However results are mailed and not available online, they do not give you any information about your ppl other than tribe and country. You would think for $300 i would at least get a short bio about the tribes history. They ONLY tell you African ancestry so if you're mixed like me you have to shell out more money for a test with a different company to find out the rest of who you are. DNA Worldwide is a renowned DNA testing provider founded in 2004 and registered in England and Wales. The company offers a wide variety of DNA testing solutions, including relationship, immigration, ancestry, and hair drug & alcohol tests. Read our dedicated DNA Worldwide review to learn all about the company and its unique services.